The role of an estate agent is varied as the day is long and although it might seem we deal with properties and hard numbers, a big part of our job revolves around people and understanding their journey and personal circumstances. It might not come up very often in conversation, because of privacy reasons mainly, but selling and buying a home for your family is such an incredibly emotional milestone and weighs heavily in each of our livelihoods. It is not unusual for whole families to gather around the phone, waiting for good news from our office, whether to know if their offer has been accepted on the house they had their heart set on or if they achieved the price they were hoping for so they can move on with their lives. For us as estate agents, it is a wonderful privilege to be part of that moment, Our hearts go out to the buyers who miss on purchasing their dream home and for the sellers who sometimes have to face stressful moments, tense negotiations and make tough decisions, but we have the advantage of objectivity and experience so we can offer strength and support when you need them the most. 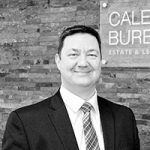 I have personally seen many cases in which having the advice of an experienced estate agent really made a huge difference in the outcome of a sales process. I recently dealt with the sale of a home in Paisley that was quite a journey for the owners. When I was invited for a valuation, I immediately understood the sellers were pretty convinced they should go with an online agent for their home sale. 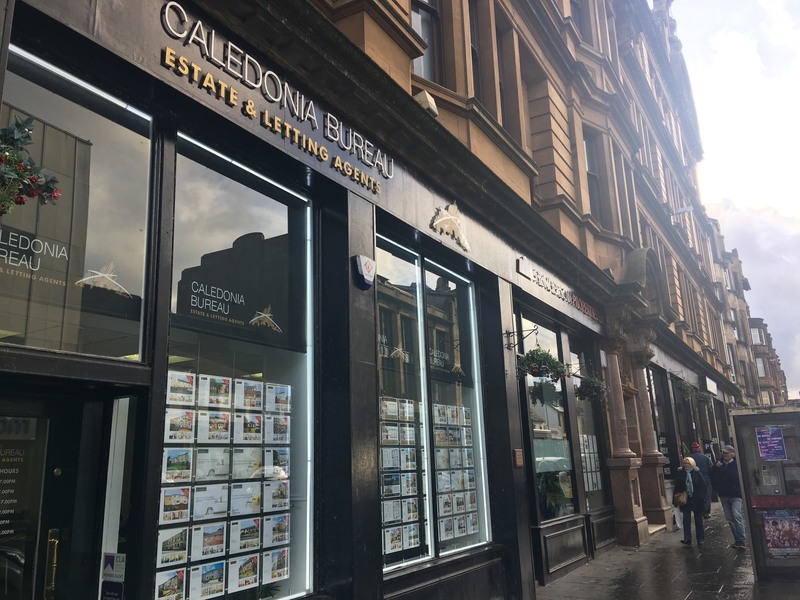 I was happy to explain Caledonia’s sales package and was delighted when the owners were swayed to list their home on the market with our Paisley office. In a matter of days from going on the market, we had two offers to present to the sellers. That is when our role as an experienced agent really made a difference. Because of the thorough check we do in the buyers’ circumstances we were able to give the seller all the background information needed to make a decision that did not exclusively rely on price point. The owners accepted the offer they were comfortable with having all the information they needed, something that is not always possible to achieve through a phone app – and their home sold without a hitch. When you pay an upfront fee for selling your house, you take on a risk – maybe you end up unhappy with the support provided, your home does not achieve the level of interest expected, or struggles to sell. So a fee that seems small to begin with can turn out to be a rather hefty price for an unsuccessful sale. Are you ready to tackle uncomfortable price negotiations and thorny questions about your home? We are trained, experienced estate agents of a combined experience of 75 years in our Paisley branch alone who understand the importance of the slightest of words in negotiating a sale. We work with local trades people, support local clubs and donate to local charities, rather than send the money to a remote corporate headquarter. We would never demand that you use a specific solicitor or mortgage company, these practices are usually linked to unethical kickbacks that in the end mean a higher cost for you. If you would like to get in touch with our Paisley team, simply pop into our highstreet branch on 25-29 Causeyside Street, Paisley, PA1 1UL or give us a call on 0141 648 0888.